Then why am I on a monthly subscription, if not to legally stream anime!? This is absurd! First off, I'll give it 5 stars because I'm watching it on Hulu. Why crunchyroll? Why? Anyways, Kokonotsu (The protagonist) is son to the owner of the towns' candy shop. He's not really interested in succeeding his father, he'd rather draw manga for a living. That's when Hotaru shows up (One of two Heroine's) and wants to hire his father into their candy business. His father, Yo, will only accept her offer if Kokonotsu will take over the family store. The second Heroine is Saya. Her family runs a coffee shop. That's all I gathered in the first episode. This show seems light hearted and comedic. The characters are, simply put, weird. But in a good way? I'm looking forward to watching this... on Hulu, I guess. Seriously, why even have it up in our region if you don't have the licensing to show it? Not sure why S2 is here and S1 isn't. But it doesn't appear to matter. The show doesn't seem to have any sort of particularly deep story arc or dependence on continuity. If you're just looking to be amused by a well-animated snack themed silly meme generator anime with some really distinctive character designs, then, you're in luck, I guess. There's probably no need to have seen the first season to understand what's going on. I certainly didn't have an issue, at least. I absolutely love this series! Own S1 too. Some people don't care for it's quirky humor, trivia, and characters for some reason completely unknown to me as to why. I love everything about the anime. It's fairly accurate to the manga too, so that's also a plus. And Saya is simply adorable. "Quick! To the Asian Market!" First of all, I hate how CR doesn't have this. I'm on Hulu watching this. Anyway, review. 2 episodes in and I love it. Simple plot but this show focuses on is what we're watching it for. An anime about snacks. Sounds stupid? It is in the way Lucky Star and Nichijou are. Stupid but just great. What this show doesn't have is a huge cast of characters. But the cut aways where candies and snack are people makes up for it. I look forward to the future with this anime. 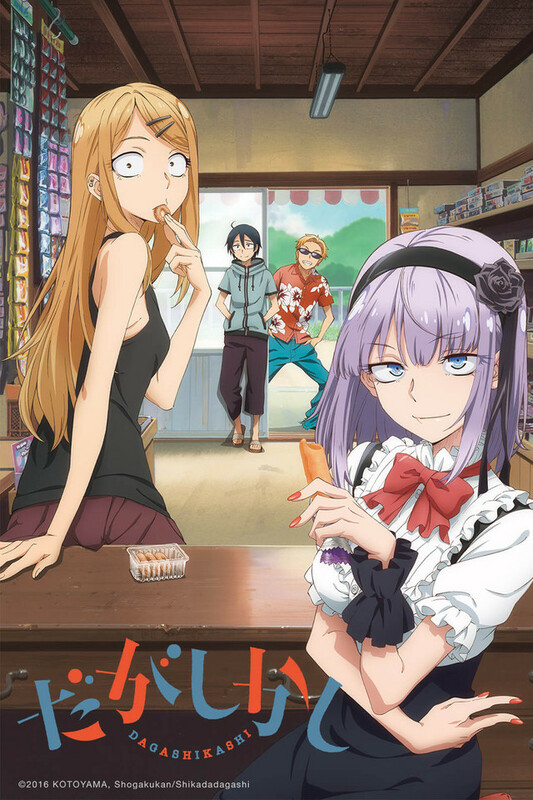 So you if you like Lucky Star and Nichijou like I do, you MUST try this anime out, anyway you can. P.S. I actually went to my asian market after seeing episode 1. Como suscriptor de Crunchyroll me vi forzado a ver esta serie fuera del servicio y lamentablemente ilegal :c. Pero ahora que Funimation y Crunchyroll comparten licencias ojalá que aparezca acá para verlo de nuevo. Me encantó esta serie y la vería de nuevo si la ponen acá. Mi cosa favorita es el Opening de MICHI.